Experimenting with interface for folding digital paper. I wanted to simulate experience of making origami as close as possible. 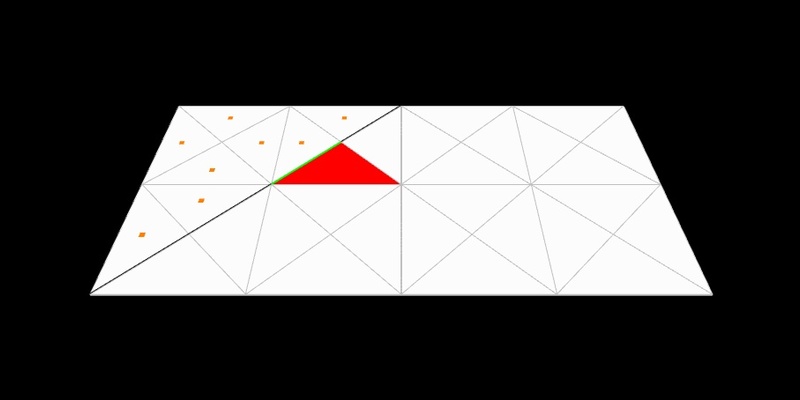 First you select a triangle and then you drag it over one of it's edges. On the image above you can see the edge along which we are going to bend the paper in green.